The Antonia Fortress was a military barracks built over the Hasmonean Baris (Acra) by Herod the Great. Named for his patron Mark Antony, a pre 31 BCE date is certain for the Fort as Mark Anthony was defeated by Octavius (later Augustus Caesar) at the sea battle of Actium in 31 BCE. 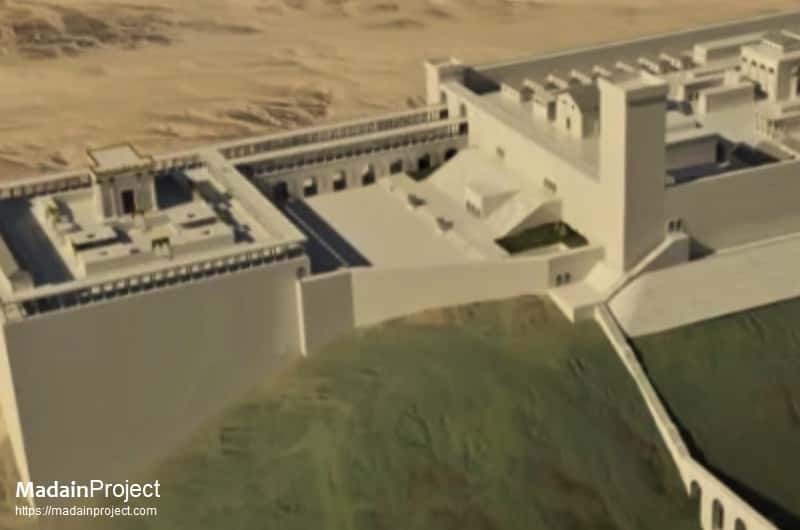 Built in Jerusalem on the site of earlier Ptolemaic and Hasmonean strongholds, the fortress was built at the eastern end of the great wall of the city (the second wall), on the northeastern side of the city, near the Temple Mount and the Pool of Bethesda. Model of Antonia Fortress with Tedi Gate (small gate with triangular top) in the Holyland Model of second temple era Jerusalem. Although modern reconstructions (including this one) often depict the fortress as having a tower at each of four corners, the historian Josephus repeatedly refers to it as the tower Antonia, and stated that it had been built by John Hyrcanus for storing the vestments used in the Temple. Courtyard of the Umariya Elementary School, located at the start of the Via Dolorosa, and is adjacent to the Convent of the Sisters of Zion. Underneath the buildings of the school are remains of the Antonia Fortress. Josephus placed the Antonia at the northwest corner of the colonnades surrounding the Temple. Modern depictions often show the Antonia as being located along the north side of the temple enclosure. 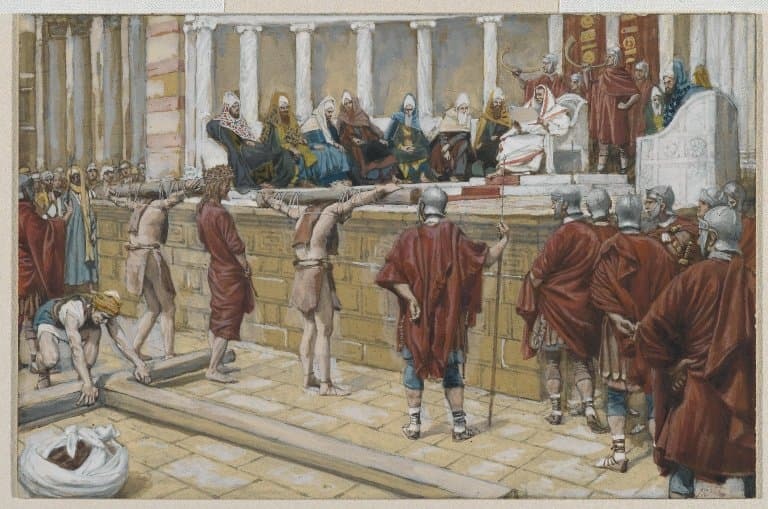 However, Josephus' description of the siege of Jerusalem suggests that it was separated from the temple enclosure itself and probably connected by two colonnades (illustration) with a narrow space between them. Josephus' measurements suggest about a 600-foot separation between the two complexes (illustration). Old Jerusalem, The tower of Antonia 1887 CE: Breen, A. E. - A diary of my life in the Holy Land, J. P. Smith printing company Rochester, N.Y., (1906). Some archaeologists are of the opinion that the fortress was only a single tower, located at the south-east corner of the site; for example, Pierre Benoit, former professor of New Testament studies at the École Biblique, having carried out extensive archaeological studies of the site, concurs and adds that there is absolutely no [archaeological] support for there having been four towers. Prior to the First Jewish–Roman War, the Antonia housed some part of the Roman garrison of Jerusalem. The Romans also stored the high priest's vestments within the Fortress. Panoramic view of the service chapel in the Roman pavement area, believed to be that of fortress Antonia where Pilate presented Jesus to the crowd, below the Ecce Homo Convent, now covered with an arched roof. A painting by James Tissot, circa 1890 CE, depicts an artistic impression of the biblical description of the site. The plaza is made of large flagstones that were specially etched to prevent horses from slipping.